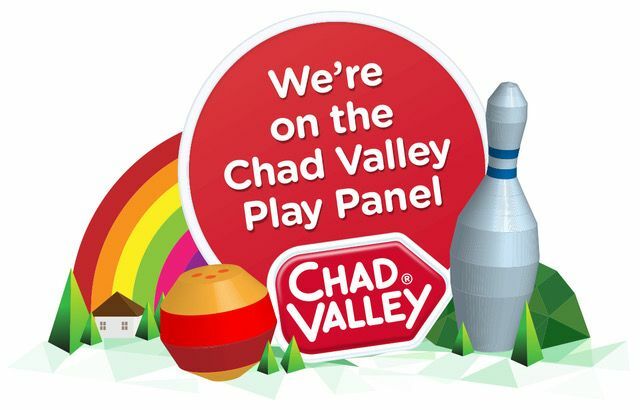 As part of the Chad Valley Play Panel we get to review some of their awesome toys. This month we've been playing with their Chad Valley Design a Friend Styling Head Doll. 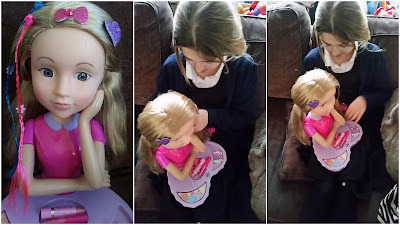 Lily has already got several of the Design a Friend dolls from the Argos collection which she loves, you may have seen our last Chad Valley review post about her newest doll Tiffany. The styling head doll is a very different kind of doll to the other ones though as it's more of a styling and make over toy whereas they're more lifelike. Lily's never had a styling head before although she has asked for one several times, I was just never sure about them. I kind of thought they'd just make a mess and then get left in a corner abandoned after being played with once. So this month Lily got her wish and got her first styling head. The first thing I really liked about this toy is that it pretty much came straight out of the boy all ready to play. There wasn't loads of ties to undo, just two and one string to cut free. Inside the box you'll find your pretty Design a Friend styling head and shoulders on a heart shaped stand. 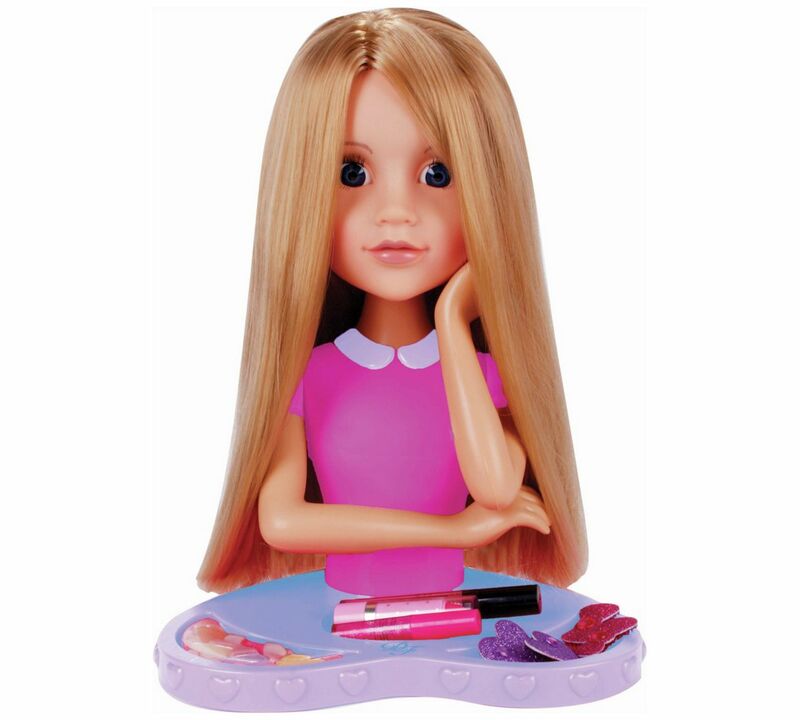 The doll has a naturally pretty face and long blonde hair which comes ready bunched in pigtails. The stand has several spaces in it for the make up and hair accessories to go. Included are: 4 eye shadow colours with applicator, 6 coloured hair braids, a lip stick, a lip gloss, a hair band, 4 glitter hair stickers and a hair brush. You do get quite a lot to play with included but you can always use your own hair accessories and bobbles too. Lily loves brushing her hair and changing her hair styles daily. One day she might have her hair down and straight and then the next she may have a crazy plaited braided style. 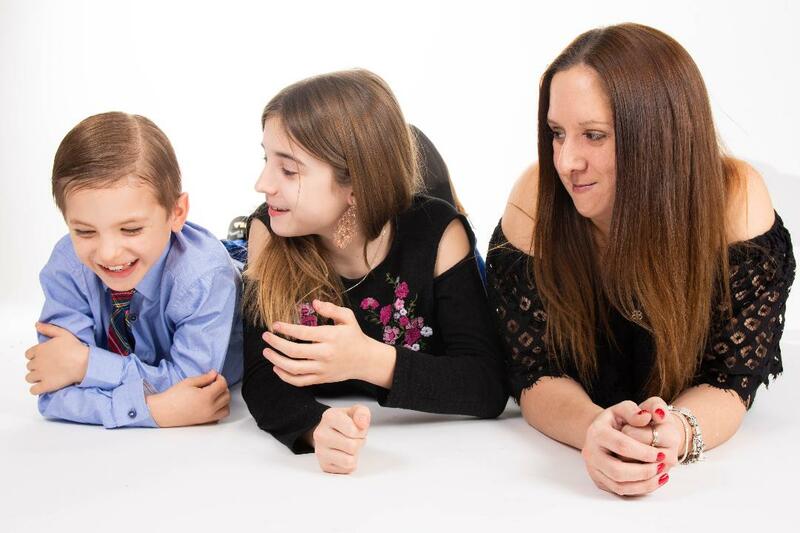 It's a great way for Lily to practice doing her own hair as even though she'd 9 years old now, she still struggles to do her own hair. I'm hoping that after a few more weeks of playing with this, she might get the hang of it and actually start trying to do her own which would be great. The make up included can be used either on the doll or on yourself. Lily likes to give them matching looks, the other day they had matching pink eye shadow with pretty pink lipstick. The Chad Valley Design a Friend Styling Head Doll is a lovely toy. Lily really enjoys playing with her and she hasn't yet ended up in a corner like I had feared so that's great news. 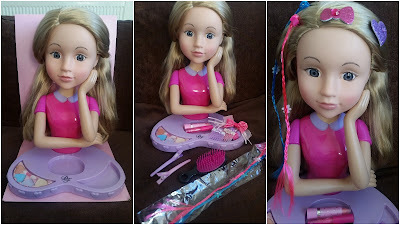 You'll be happy to know that the doll is easy to clean as the make up wipes off really easily. I don't let Lily have too much make up so this set has been a real treat for her and she's loved it. 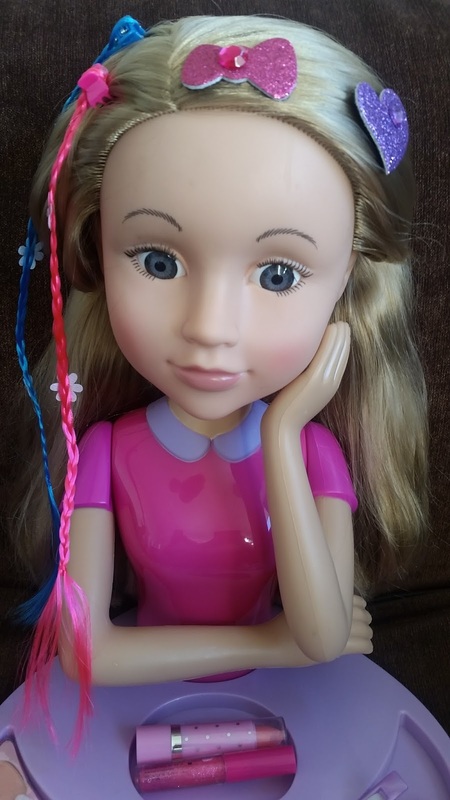 I'm happy to say that the Design a Friend Styling Head doll has been a hit with both of us, She's a very pretty doll with lovely long hair just waiting for a new style and hair do every day. Lily's had lots of fun playing with her and I've had lots of peace and quiet whilst she was. 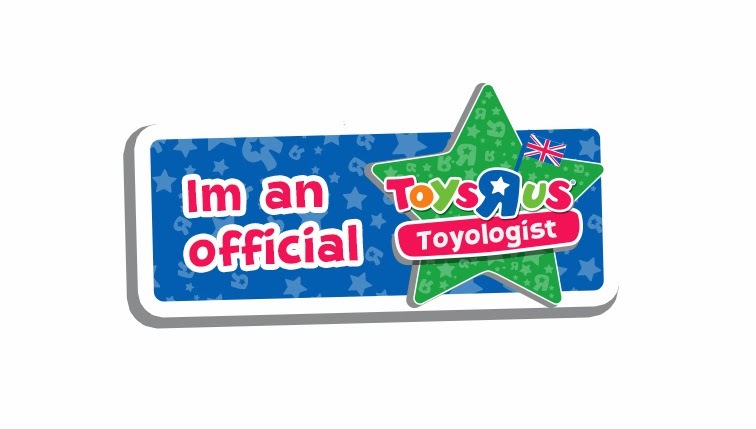 Any toy that can keep Lily quiet and happy for a while, gets a thumbs up from me. Disclosure: We received our Chad Valley Design a Friend Styling Head Doll for free for the purpose of this review but all the opinions expressed within it are 100& our own and honest.